‘Get Ready’ is a song that moves from a repetitive Minor Pentatonic verse riff to a simple four-chord chorus progression. 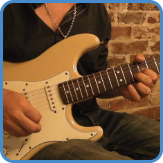 In the course, we’ll first play the chorus chords all over the neck before I show you how to construct your own chorus part. When the solo comes along we take the original sax and string ideas and put them on the guitar. 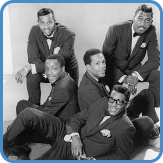 The Temptations are a five-piece vocal group that has been active since 1960. After the original five members, another nineteen singers have come and gone. Early hits like ‘My Girl’ were produced by Smokey Robinson, later they ventured into a more psychedelic soul with ‘Papa Was A Rolling Stone’. Now produced by Norman Whitfield. To find out more, go to The Temptations biography.